BBC English Regions is launching a new podcast that showcases the best of BBC Local Radio storytelling from across the 39 local radio stations. 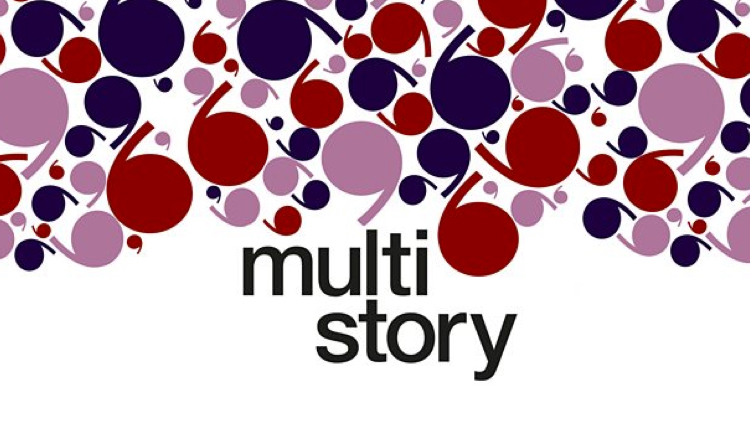 Called Multi Story, the podcast offers a collection of personal stories following a different theme each week. Presented by BBC Local Radio producer Becca Bryers, each podcast features three or four stories. Some of the stories will be original recordings by Becca, but most will be handpicked from audio that has previously aired on one of the 39 BBC Local Radio stations, re-packaged for a podcast audience. Becca Bryers said: “Most of my working life has been spent in BBC Local Radio and so I’ve loved this opportunity to share some of the brilliant personal stories broadcast across the network every day, with a new podcast audience. BBC Local Radio stations currently share stories across its network on the syndicated evening show, but this is coming to an end shortly. The first podcast, to be released on October 10th, is themed around the subject of childhood homes. It features an extract from a documentary called Wink’s Big Day Out which was broadcast on BBC Radio Lincolnshire four years ago. Radio Lincolnshire presenter William Wright travelled to London with a Lincolnshire farmer, Farmer Wink, who was using a train for the first time. Becca catches up with Wink to see what he’s doing now. The podcast also includes an original interview by presenter Becca Bryers with a Leicestershire man called John who is facing the possibility of saying goodbye to his family home, which he can no longer afford to live in. Other themes to be explored in later podcasts include parenting, love letters and strangers. Some of the stories listeners can look forward to hearing on the podcasts include the tale of a couple from Shropshire who have given up bricks and mortar for four wheels and a camping stove, and an interview with the children of showmen in a report on intergenerational experiences of Hull fair. Multi Story will also feature and excerpt from the documentary The Emptiness Within which was presented by the former BBC Radio York breakfast presenter Kay Crewdson and explores the thoughts and experiences of those who go through a miscarriage. The Multi Story podcast will be available to download for free from October 10th.